Expert Trainer and Nutritionist, Jake Kocherhans’ inSHAPE fitness program helps those looking to improve their health and fitness. As we’ve talked about for years, your general fitness is critical to maximizing your sexual fitness. Strength and cardio stamina are key to be being a great lover. Plus, a healthy body weight and strong cardio system is needed for the hardest erection possible. This is where fitness programs, like inSHAPE and nutrition programs like Isagenix, really come into play. What makes inSHAPE so different from other programs out there is the importance they place on adaptation. Without proper phasing, it can be easy for our body’s to become adapted to what they’re doing and stop progressing. You may see great results initially, but if you’re not incorporating different stimulus into your training, those results will eventually begin to plateau. 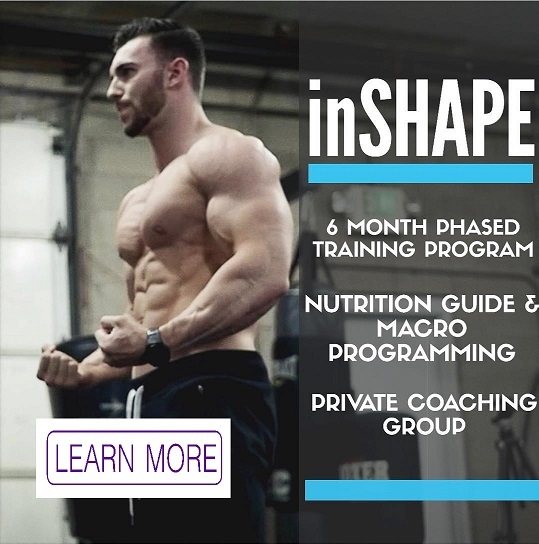 With inSHAPE, you’ll have six months worth of phased programming designed to take your body through a different style of training every four weeks. With new workouts provided every two weeks, you’ll never get tired of the same old routine. 6 MONTHS OF PHASED EXERCISES designed specifically to avoid plateaus and help you see results week after week. EXERCISE LIBRARY with instructional videos & tutorials on how to perform each movement properly. FULL NUTRITION GUIDE & MEAL CALCULATOR that will provide you with a full understanding of exactly what you need to eat to reach your goals. FREE E-BOOK covering in-depth tips & strategies for how to maximize your time in the gym. 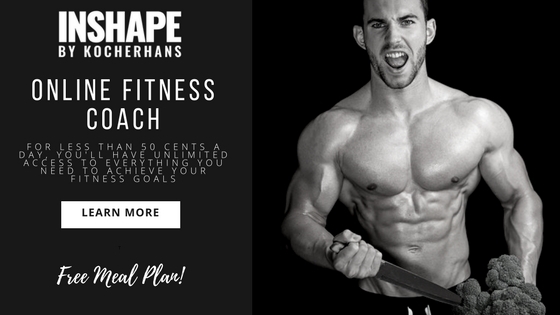 PRIVATE FACEBOOK COACHING GROUP where expert trainer & nutritionist Jake Kocherhans answers questions directly, and does weekly video Q&A’s. The group is also a great place to build community, support & motivate each other, and hold one another accountable.